David Caputo – Owner and President – 30 years experience as a business manager, computer programmer, graphic designer, art director, printing consultant, SEO copywriter and overall problem solver. 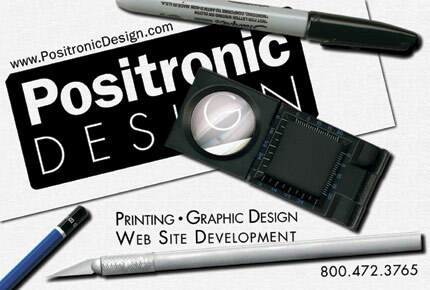 He has hundreds of web sites to his credit as well as decades of graphic design and print portfolio. David is also publisher of the Hidden Hills of Western Massachusetts map and Hidden-Hills.com and runs the Positronic hosting business, 413Network.com GlobalGayLodging.com and A1PersonalInjuryLawyers.com. Over the past fifteen years, David has become one of the world’s leading experts in Organic Search Engine Optimization. Christopher Lees – SEO Consultant – Another of the world’s leading experts in Organic Search Engine Optimization.